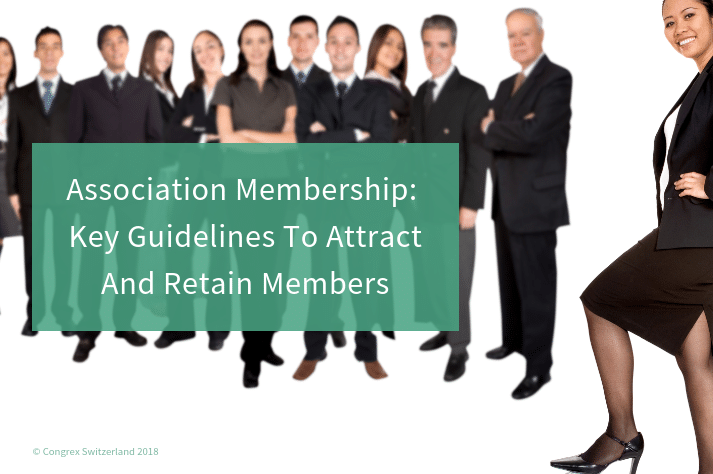 A solid and engaged membership base is essential to every association, but attracting and retaining members continues to be one of the main challenges faced by organisations all over the world. Medical associations are not immune to the membership challenges of the 21st century, so this post will cover how they can recruit new members and encourage existing members to stay. In the information age, digital spaces and online communities are replacing the need for membership, offering access to valuable information and networking opportunities without having to pay annual fees. As a result, medical associations worldwide only see modest increases in membership numbers, and their main challenge involves staying relevant in an increasingly globalised world. Competition from other professional associations is another common issue: potential members are more selective when it comes to joining, not to mention that demographic and generational changes are affecting the essence of concepts like engagement and membership. By following a few guidelines, medical associations can influence their prospective members’ decision-making process in tasks like joining the association or to renewing their membership. Leaders / Trend-setters appreciate membership schemes that let them gain special privileges, be the first to know or establish themselves as experts in their profession. Tips: use time-sensitive offers, VIP memberships, exclusive perks, and a no-nonsense writing style. Influencers are social beings who thrive in the sense of belonging and need interaction before committing to a decision like joining an association. Tips: highlight the social aspects of membership, focus on face-to-face networking, and how they can help others make a beneficial choice. This can be done with video interviews between potential members or medical students and existing influencer members, or by offering these members hands-on participation at regular local events that complement annual conferences and other larger events. Supporters, who like influencers are mainly driven by the opportunity to take part in social interactions but want to feel they are making a meaningful contribution. Tips: stress how membership offers chances to help others (e.g. mentorship schemes, volunteer programmes, etc.). Thinkers prefer to decide after carefully weighing the pros and cons and are data-driven, so they need to have exact details on what the membership means. Tips: quantify the benefits, talk about growth, and include survey results on why others have chosen to join. 2. Think small to grow big: specialisation is vital in the medical field, so membership plans reflect that and offer clear value. Find out the most appreciated membership benefits for each speciality you target, and think about how to capitalise on them, so they offer even more value to existing and prospective members. 3. Rebrand: marketing is an essential tool to attract and retain members, especially for medical associations that tend to be decades old (some, like the AMA, are almost 200 years old), and therefore necessarily must make changes to stay current. Rebranding could mean anything from getting a new logo to changing the association’s name, which can be modified to reflect its participative character as well as the key membership benefits and the value they offer. A clear example is the name change made by the American Society of Training & Development, which rebranded itself as the Association for Talent Development. Tap into niches / specialised audiences through the use of hashtags. Reach all member styles and put them in the spotlight with interviews, a featured member of the month posts, etc. Highlight the real humans that make associations work with employee advocacy schemes on social media. Creating and implementing a needs and value-driven strategy is the key to attract and retain members in medical associations and similar organisations. Executives should be ready to evaluate the association’s current objectives and the role and to embrace change with an innovative mindset. This will allow associations to nurture and grow their membership base, retain members, and to establish themselves as leading and forward-looking organisations.